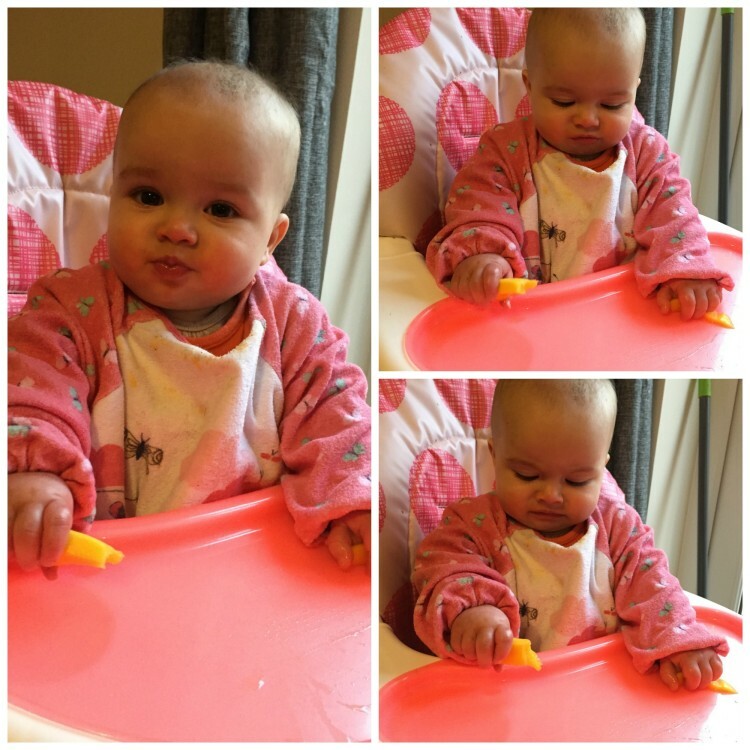 We have been weaning for a few months now, and it is safe to say that Eliza loves her food. We know how important it is that we don’t just stick to foods we know Eliza likes. Instead, we keep offering a variety of foods. It’s normal for babies to be wary of new foods, so be ready to offer something new as many as ten times before they accept it. Persevering now will help them develop into more adventurous eaters as they get older. Over the last few weeks we have offered a lot of new flavours, both sweet and savoury. 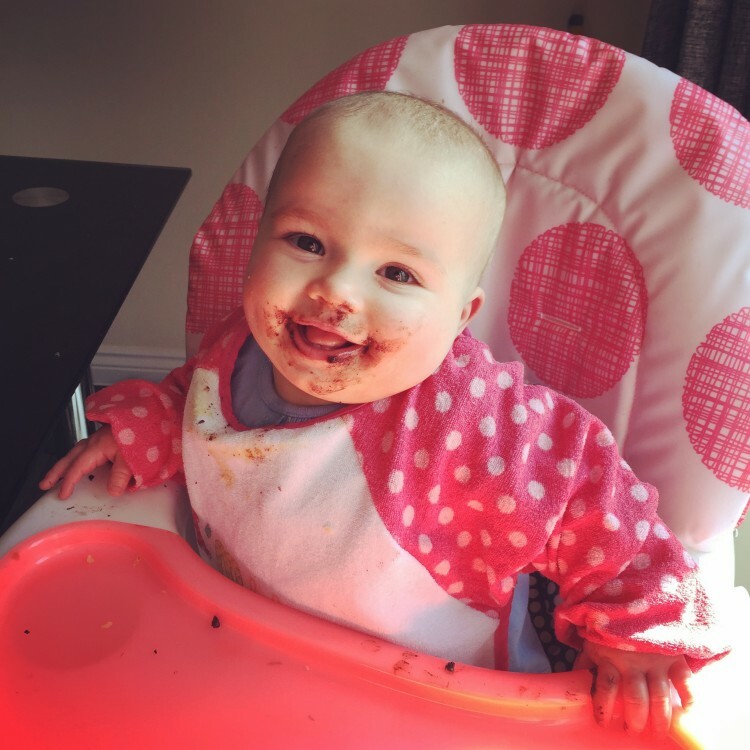 Chocolate cake was a winner (obviously) – Eliza had her first taste of this at a birthday party. It didn’t last long! We have also tried melon for the first time this month. Eliza is a big fan of fruit, so we have been trying some more exotic fruit alongside the bananas, oranges and strawberries that she loves. Mango seemed to go down well. 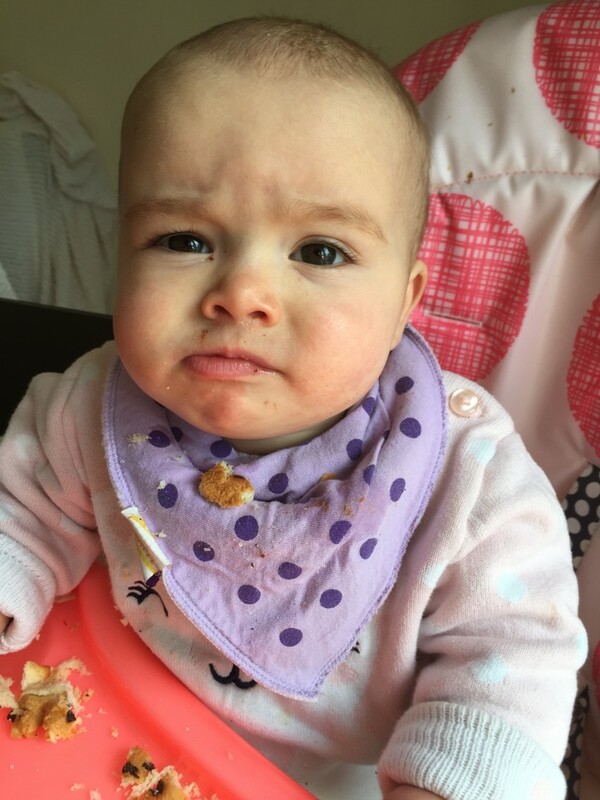 She made a few funny faces at first – I think it is slightly sharper than the tastes she is used to – but it didn’t take long before she was happily munching away, and now it is one of her favourite things to eat. 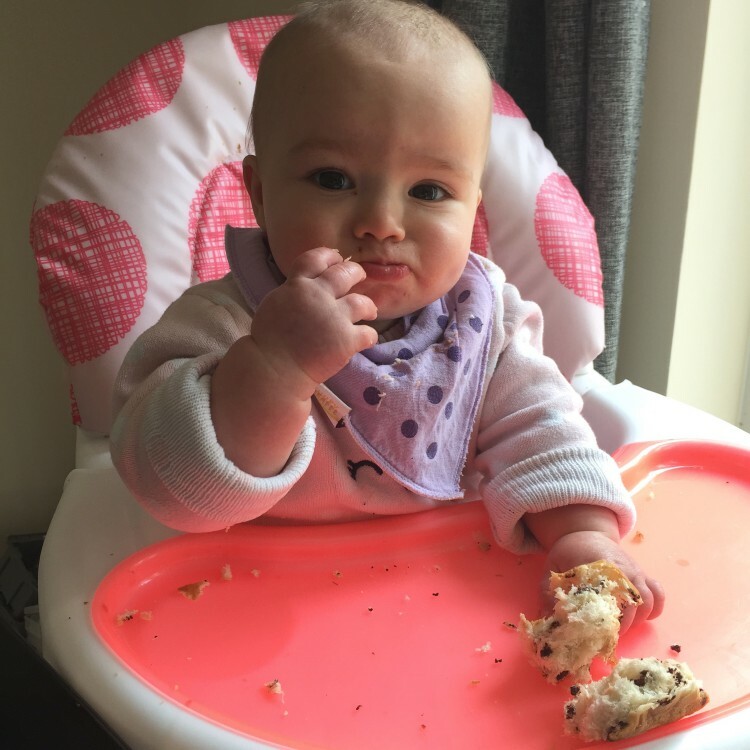 Over the Easter weekend Eliza also had her first try of hot cross bun – She pulled it apart and some went in her mouth, but I am not sure she was all that keen on it! We will try again in a couple of weeks, and try other similar products such as teacakes and fruit loaves. Easter also means Easter eggs doesn’t it? 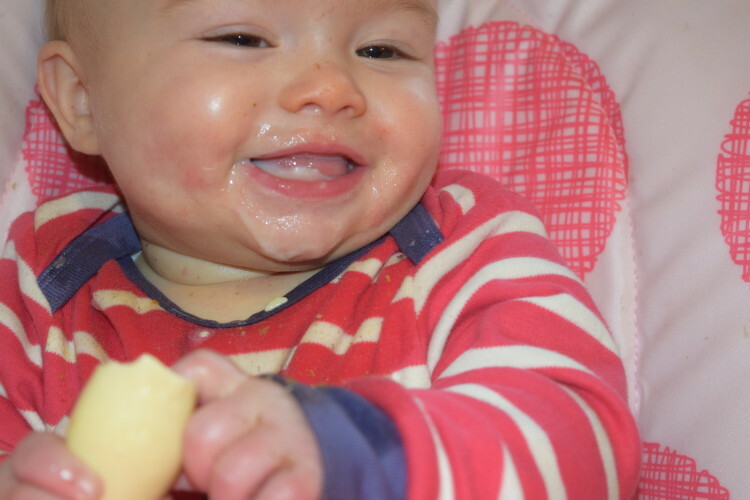 Eliza tried her first Easter egg, and I think you can tell by the smile on her face that it was a definite hit! 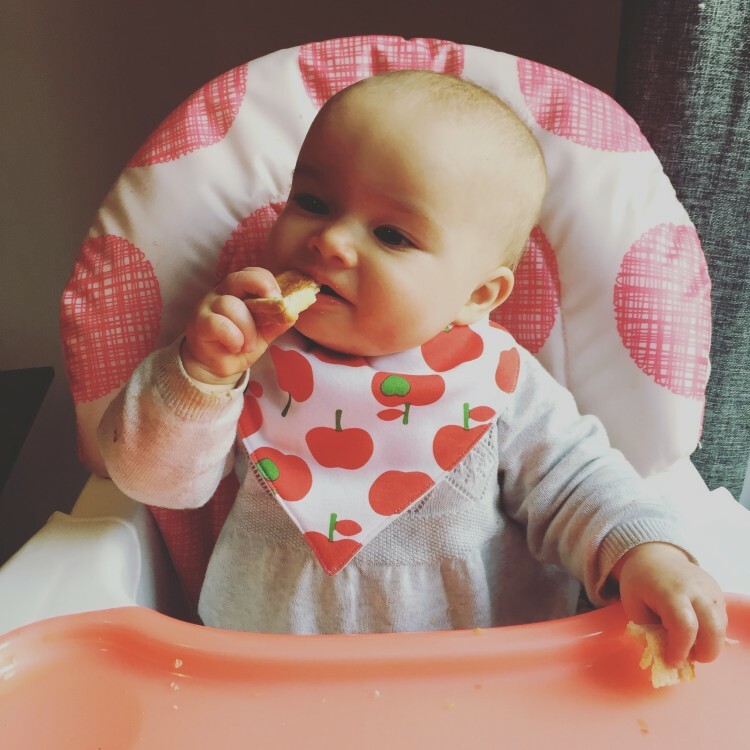 Eliza definitely prefers sweet foods at the moment, which I think is pretty common at this age, but we continue to offer plenty of savoury options alongside. She still enjoys the HiPP Organic jars and pouches, and they are a great option if we are eating a meal that isn’t suitable for Eliza to share with us. The fruits & vegetables used in HiPP Organic pouches and jars are grown on dedicated organic farms, where they are left to ripen naturally and harvested at their plumpest & sweetest. These organic ingredients are then gently steam cooked to protect the nutrients and keep every ounce of flavour to provide babies with the best possible start to weaning and beyond. At HiPP Organic, they only add sugars to recipes that you would add sugar to if you were preparing the recipes yourself (such as custard), and they control the amount of sugar in all their baby foods very carefully as it’s important savoury foods do not contain hidden sugars from fruit. Besides fruit, Eliza enjoys shepherds pie, mild curry, bolognese and jacket potatoes, and as you can see, cheese spread and ham sandwiches are pretty exciting too! Oh she’s so sweet and clearly loves her food! It’s great to see them enjoying it isn’t it? Luisa has a sweet tooth at the moment too but we’re persevering with the savoury foods. What kind of cheese spread do you use for the sandwiches? She certainly loves her food ha ha! I love weaning, it is such a fun time watching them try new things isn’t it? We have been using Dairylea spread for her sandwiches – it has been a real hit!